76.5% of the Malagasy population lives below the poverty line of $234 per person per year, but this number is higher (82%) in rural areas. Agriculture remains a crucial sector. Smallholders make up 70% of the country’s population, but they are faced with numerous challenges such as a lack of services, difficulty selling their products and accessing capital, etc. To make matters worse, land is distributed unequally, and the country suffers from severe deforestation as a result of land clearing for coal production, firewood and construction wood collection, slash-and-burn agriculture, and the illegal commercial logging of precious woods. In addition, experts from the IPCC consider Madagascar to be one of the three most vulnerable countries to climate change. There are twice as many cyclones per year now than there were 20 years ago. Madagascar also exports a portion of its agricultural production and is the world’s leading exporter of vanilla. It also exports pepper, cloves, litchi, and essential oils, but the traditional supply chains do not always fairly remunerate smallholders for their work. AVSF is recognized in Madagascar for its long-standing engagement working in support of livestock farming and establishing high-quality local animal health services. More than 120 community animal health assistants have been trained and are still active and accessible to more than 10,000 families. Since 2000, AVSF has diversified its work in order to better respond to the needs of the people it seeks to help. 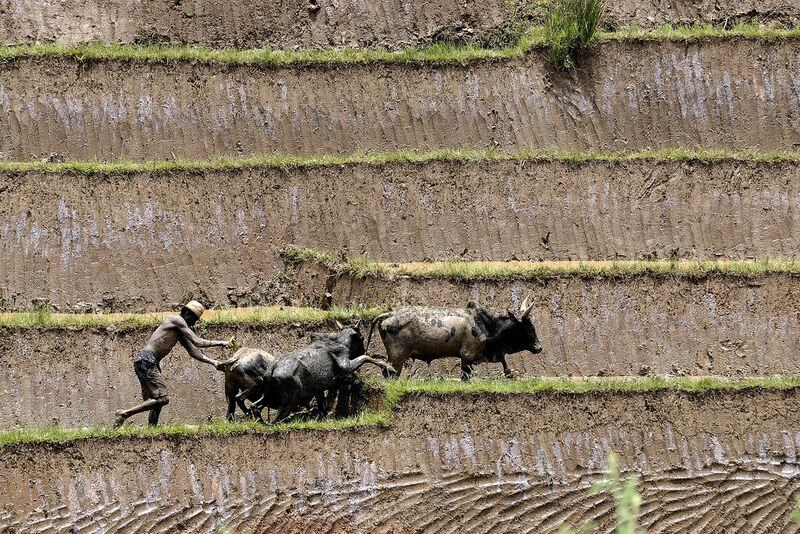 In several regions of Madagascar, AVSF promotes the spreading or improvement of agro-ecological techniques that are adapted to smallholder conditions and not harmful to the environment. Supporting veterinary services and training of Community Animal Health Workers.